Zipping through apps we needed for work in a long meeting, we came across a couple that we didn’t download on the company network. Since, non of us have Vodka in our desks… even though some of these meetings could really use a little ‘life’. 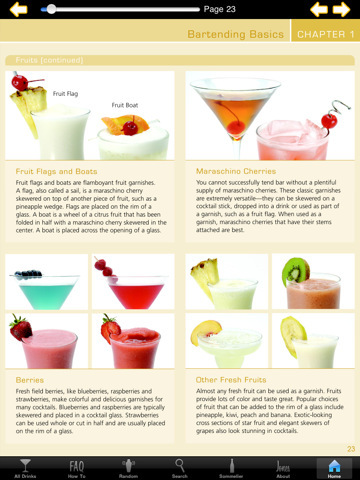 We had a good chuckle when we found on a break that we had all been looking at cocktail and mixed drink apps. Yes, the meeting was going very long. Two that rose to the top of the list was Shake, Not Stirred and Cocktails HD. Both will be fun to have on the coffee table to browse through and a center of any next party as friends look for what they want to mix next. 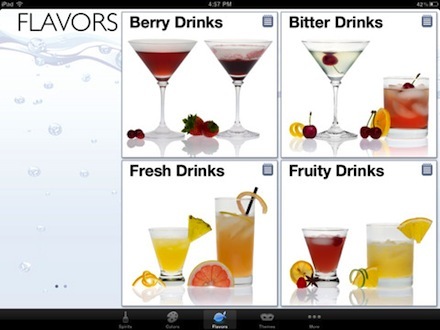 Shaken, Not Stirred offers a variety of ways to search for drink mix recipes – flavor, theme, spirit and even color. The pictures make the app a good one to sit back and swipe through to something that ‘looks good’. 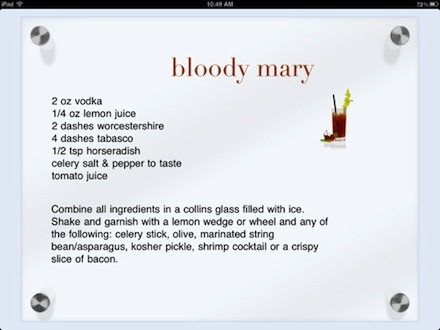 The other app, Cocktails HD is less about high impact images and more about containing what appears to be a near endless list. 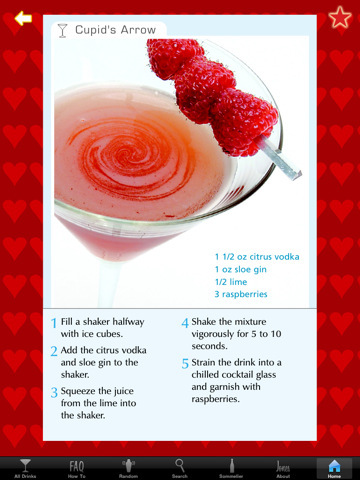 With over 450 drink and wine recipes, there is no way party guests will make it through every drink. Even the kids can find something in the ‘non-alchohol’ section. A single drink view in portrait view and two in landscape view. 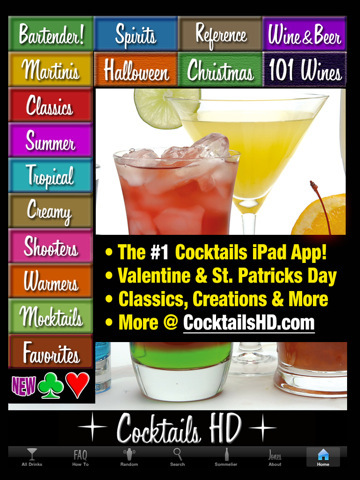 Cocktails HD gets updates when new drinks come out too. Of course, please drink responsibly.